Sometimes we want to get away from it all. No, not like “to a secluded cabin in the woods” or “a private beach bungalow.” We mean all of it. Civilization, technology, non-bloodsport government. That’s where Wasteland comes in. 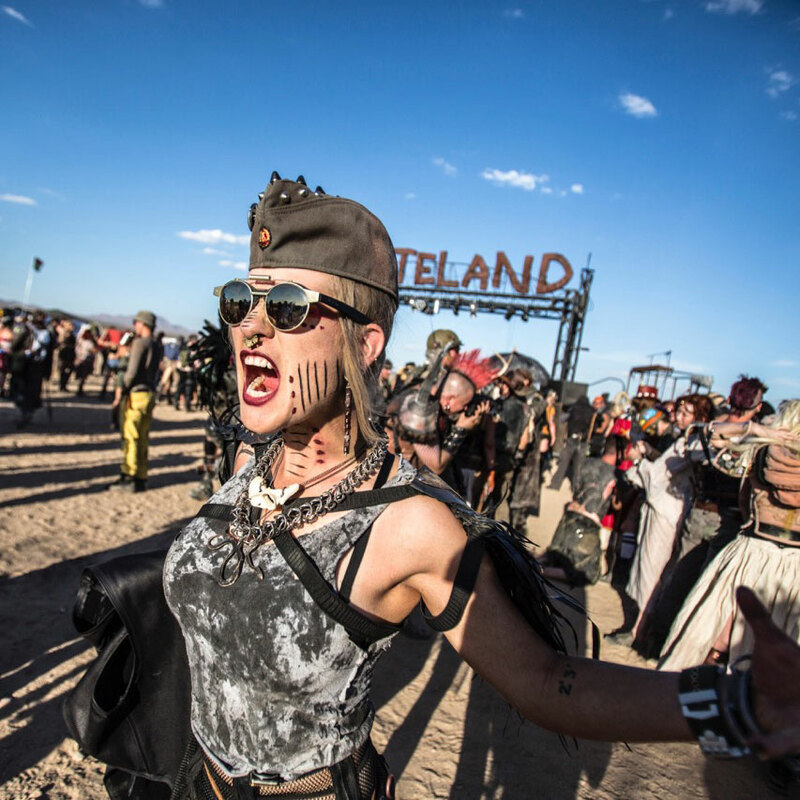 The annual festival takes place in the Mojave desert each year just outside of Bakersfield, CA and the aesthetic can only be described as Mad Max chic. Revelers dress, act and live in the dust, metal and heat while convening into tribes, dancing, drinking and battling each other in games and bouts alike. This isn’t a spectator affair. All 2,500 attendees must look the part. Costumes are a requirement, but homemade weapons and modded vehicles also make an appearance. Now in it’s seventh year, the four-day fest (which just ended for 2016) occurrs every September. Start rusting your codpiece now! See even more of the mayhem over at Wired.